I had a young engineering student who worked on one of my crews and was really really smart. His grasp of electrical theory was beyond the others on my crew but he was “book smart”. That’s how we used to describe someone who wasn’t very practical but thought he knew more than everyone else. I had a choice of two of the crew to install a somewhat expensive piece of equipment in a renovation that had been used but was being moved to a different location. One of the guys was Book Smart and the other one was almost the polar opposite in that he was savvy with his hands and could just figure something out that he didn’t understand. I chose Book Smart. Book Smart did what we do when we find ourselves in an unfamiliar situation, he ran home to momma. He did what he was comfortable doing. The schematic was his priority because he had done many schematics, but it wasn’t the company’s priority at all. We just wanted the equipment to actually be up and working the way it was designed to. I think he was unsure of how to practically mount the unit on the wall and got a little stuck. We do it in family and specifically parenting all the time. I know that we say we love our kids and would die for them, but too often our motive lets us off the hook in our own minds from the actually result our priorities are giving us. The blind man’s parents were questioned by the religious leaders of the day, who hated Jesus, about the validity of the miracle. The miracle itself is a fascinating story you probably want to watch, but now the leaders are trying to discount the miracle in hopes of discounting Christ… His parents would undoubtedly said they loved their blind son and would die for him (just like you and I would say about our kids), but in responding to loaded questions by mean, spiritually blind people about the healing of their sons eyes they waffled and only answered what they couldn’t deny anyways. Church without Jesus is nothing more than a social club. Venue Church can never become that. We’ll stick with the blind man’s response “All I know is that I was blind and now I see!” I like that statement because it keeps me grounded in the reality of my existence without Jesus, but maybe somebody’s life actually being redeemed is too simple for Book Smart folks who would rather draw a diagram about why someone’s suffering is their own fault (which gets a well deserved “DUH….” a large percentage of the time, though not in the blind man’s case), than actually feel their pain and connect someone with the Healer of mankind? Feelin me? No matter what the word on the street is (which in Canada could be mostly disregarded as untrue we just lack the courage to call people on it), we’ve never kicked anyone out of church in 30+ years of ministry. I know people get offended and leave and spread rumours about being treated horribly and getting kicked out, but the truth is.. that has never actually happened. I just asked my dad who’s the most honest guy I know and who I took the church over from. Look sweetheart, so and so ain’t my dad. That turned out to be a slightly bigger rant but one does get tired of hearing ridiculous rumours about himself and his own dad which educated people somehow swallow and spread. Do your dang homework before you get sucked into someone’s agenda who wants to damage people and churches and the person of Jesus! Looks like our culture is not really that different from the blind man’s eh? A notable work has just happened and all the people who should be excited about it have already made up their minds that it’s their right to judge whether Jesus is right or wrong. They actually thought He sinned when He healed the blind man on the Sabbath! When asked the same ignorant faithless question for the umpteenth time he has a “moment”. Then he goes off on them and gets kicked out of the club. The club his parents carefully avoided getting kicked out of. Since when does what hockey parents think about your family priorities of putting God first and going to church and small group pull rank on what is actually the best thing for your kids? Why on earth do we let the minor priorities of life sneak up and start driving the bus? Eternity for our kids. You say you love them but do you even care to explore the possibility of an eternity with or without the God who designed them to be with Him forever? Jesus hands the blind kid an actual life! He’s been told his entire life that he was blind because either he (in the womb) or his parents were terrible sinners, a common religious mindset of their day. Funny how blind people’s awareness and other senses are that much sharper than the rest of ours are? When he brings the hammer down on the self righteous, judgemental religious people I’m convinced he did it out of an overwhelming insight into his own sinful soul, which he was very familiar with! How could a religious person be so familiar with a holy God and treat His Son with such contempt? 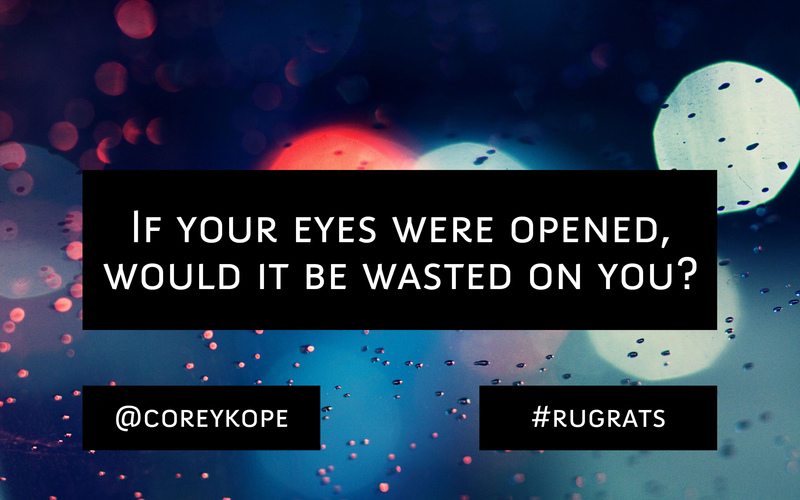 It doesn’t add up to an actual connection with an actual God when you start thinking your righteousness apart from Jesus’ blood means something in the sight of heaven! Jesus gives the blind son the life his own parents couldn’t and the eternity they weren’t even in touch with. They didn’t like that part. “I’ll parent my own kids, thank you very much!” Ok.
“Jesus take the wheel!” is what you’ll cry when the family bus heads off the cliff but I suspect He’s saying to you right now “Let go of the wheel first”? I consider that when Jesus and His body actually drive my family bus I’m right where He wants me to be. We organize our lives around our actual priorities and if putting Christ first bothers people in our minor priorities we’re ok with that. I do know that I will always be distracted the night of the best Venue Group of my life, that crucial topic that my family can’t live without. I know the best sermon is the one I had to fight hardest to get to, disappoint the most minors for! Salvation is free but everything else is going to cost you. The last thing I would ever want is to watch my girls be given a life with Jesus that I simply can’t personally give them and be concerned because some random person disagrees with my priorities from some kid’s activity or sports group. I got spine and I don’t care. All I know is that you’ll tell me your family has the right priorities but all I have to do is watch what you actually do with your time next week. Absolutely fantastic! The Majors were always clear, and when the minors began to creep up it was time for a reset! Not always easy but well worth it. My first and second majors were always tight, spirituality and family. 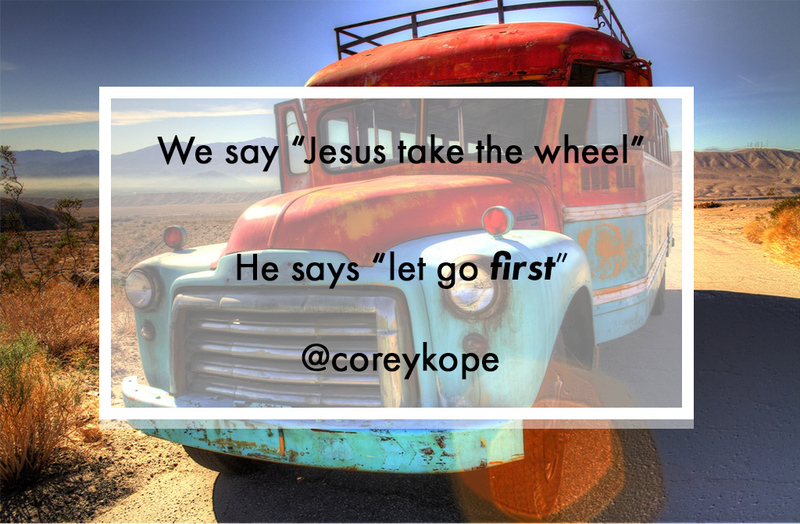 While we didn’t always find the right place for us, we still held tight to Jesus. And family, nothing was more important to me then that, and if I needed a wake up call or a priority shift it was done. Coming from a family where it was drilled into us early that family is priority, I am blessed and thankful that I was taught that. It’s not always easy and I’ve made lots of mistakes and I am thankful for Gods constant guidance and His love. And I’m grateful for this series, I wish I had experienced it in my early parenting years, such a gift! Thank you! !